Thank you for posting this. I have had the same problem. The funny thing is that I upgraded to FTM 2012 right after I purchased a new iPhone with iOS 5 and had backed everything up from my iPhone 3GS. 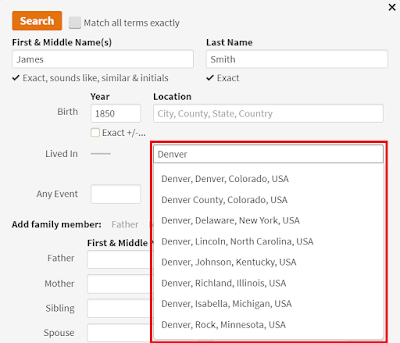 In order to use FTM 2012 and the synching feature, I had to upload a new tree to ancestry. The tree that was set up with the previous iOS worked just fine. The new synched up tree did not. Sorry if this was confusing. Thank you for posting this! You are the only person I've been able to find that is having the same issues, and was beginning to losse my mind since my brother has no problems. I downloaded the app for the first time when I got iOS5 on my iphone and it goes through the whole downloading and processing people thing, but then gives me NO PEOPLE at all. As if 3500 people doen't exist in my tree. Hopefully they fix it soon. I am having the same issue since I downloaded iOS 5 on my iPad. I have contacted ancestry twice. They tell me the same thing, that they are working on a solution. I know it did work with the 2012 tree sync with the old iOS since I used it and it worked wonderfully! I hope they get it fixed soon. I have a pc that I can use but it is so convenient to use the app. I have the same problem. Annoying! Let's hope they get an update soon. I am having the same problem. I only have 1500+ names and the tree won't load. Now I know why. Thanks for the info. I hope they update soon. Same problem here. Says its donwloading, then says its processing (a different number of names), then it only shows a fraction of the records. Seems like a long time to get an upgrade for iOS 5. Darn... I'm trying a free month of ancestry.com especially to try the iPad app. Looks like I won't get to see it. Been battling this for two of my four weeks. Even tried to go back on the IOS but could not do that. I have the same issue. Trees download but never appear. I had spent two weeks getting my data in order to show to all the family at Thanksgiving. I guess that won't happen now. Hi, the same thing has happened to me now Ancestry is using Flashplayer and as Apple does not support Flashplayer, I now can't access my original censuses ! I called Ancestry just now and was told that is the case. I told him that they are going back in time as the site proclaims but for technology reasons !!! It's driving me mad! I have to keep logging in.